The PalmInfocenter Software store carries thousands of Windows Mobile software applications for your Palm Treo or Pocket PC smartphone. 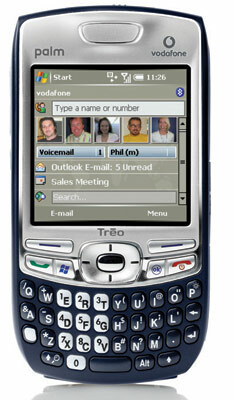 Palm devices that run Windows Mobile include the Palm Treo Pro, Treo 800w, 750 and 700wx. There is a rich variety of third party Palm Windows Mobile software programs that can greatly enhance your productivty and your device's usefullness. The store carries shareware and commercial titles in addition to some freeware. Most apps include a free trial period. Windows Mobile is a smartphone and handheld operating system with a suite of basic applications for mobile devices. Devices which run Windows Mobile include Pocket PC and Smartphones, It has been designed to resemble desktop versions of Windows. Windows Mobile 6 is the latest version of the WinMob platform. It now has three different versions: Windows Mobile 6 Standard for Smartphones (mobiles without touchscreens), Windows Mobile 6 Professional for PDAs with phone functionality (Pocket PC Phone Edition), and Windows Mobile 6 Classic for standard PDAs.